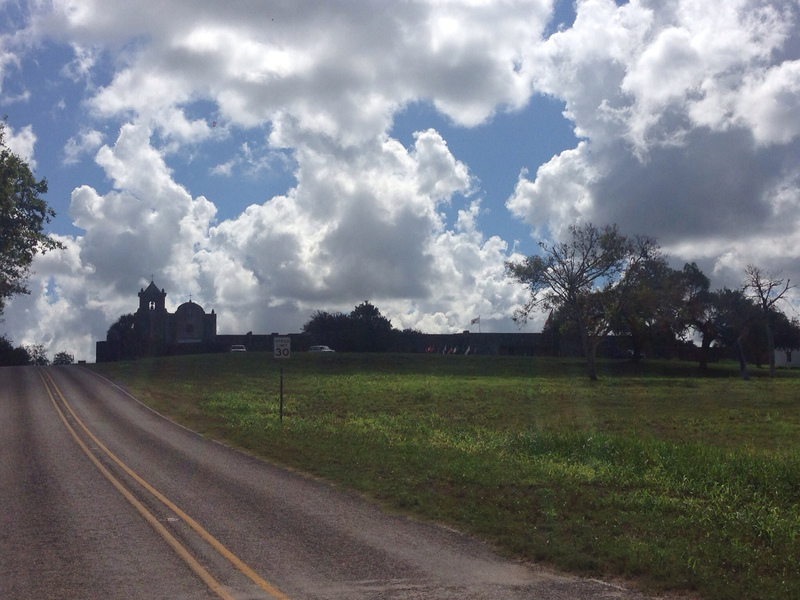 Just south of Goliad State Park is Presidio La Bahia. 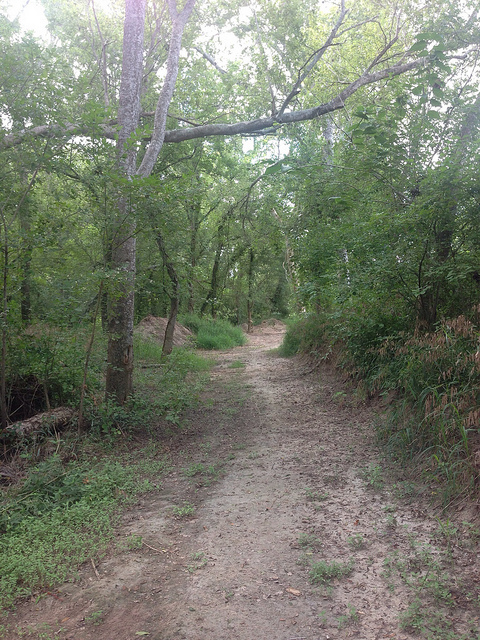 You can walk here from Goliad State park or make the short drive. I should warn that the hill from the road to the Presidio is a little steep and may be difficult for some. Driving may be best if you are unsure or with little ones. Located 1/4 mile south of Goliad State Park on U.S. Highway 183 and 77A and operated by the Catholic Diocese of Victoria. View exhibits, enjoy an interpretive program and exciting reenactments, and imagine life at the fort. 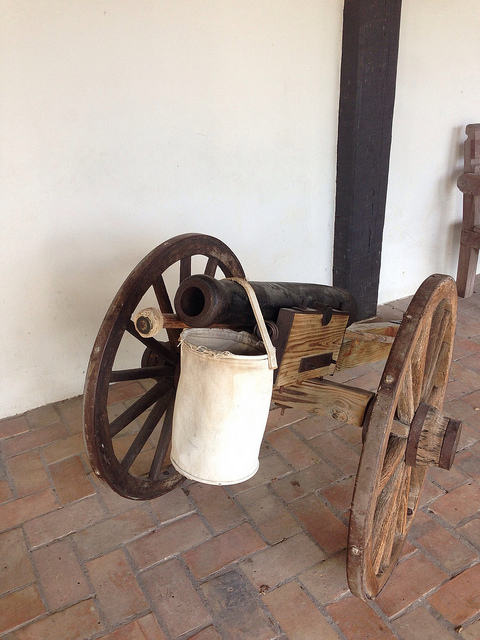 Originally built in 1749 to protect the mission and the frontier, it later played a major role in the Texas Revolution. 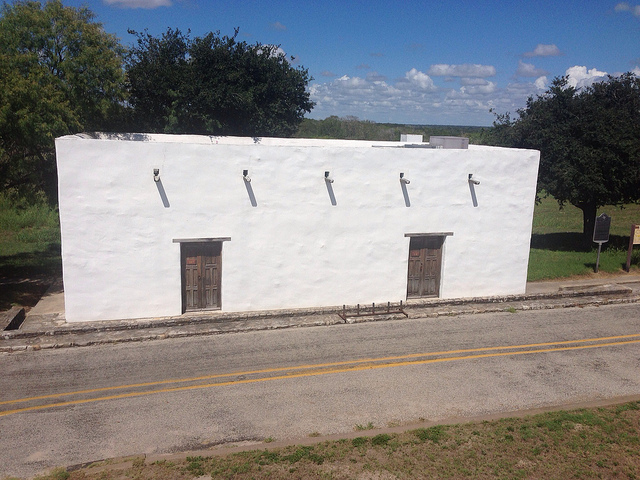 Here, Colonel Fannin and his ill-fated men were held prior to being executed at Santa Anna’s order, an act of infamy later recalled at the Battle of San Jacinto with the cry, “Remember Goliad! Remember the Alamo!” For a very special experience, make reservations to stay overnight in the comfortable Priests Quarters. 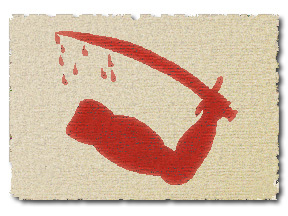 The Presidio is the origin of one of my favorite Texas Battle Flags. My friends and I still fly this one at tailgates and other events when we need to stand out in the crowd of flags. In front of Presidio La Bahia is the Zaragoza Birthplace SHS. Ever wonder why we celebrate Cinco de Mayo? This day honors General Ignacio Zaragoza, who defeated the French at the Battle of Puebla in 1862. 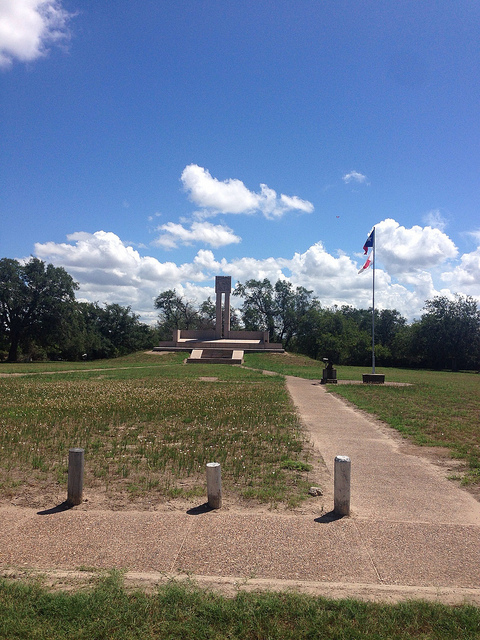 Visit his reconstructed birthplace adjacent to the Presidio to learn about this Texas-Mexican hero, born here in 1829. Descendants of the original town of La Bahía, the settlement that grew up around the Presidio, still live in the area today. Don’t miss the adjacent Zaragoza statue, donated by the citizens of Puebla, Mexico. Access to this side building is limited. I recommend calling ahead to check for availability. The Presidio and birthplace of Zaragoza are not part of the State Park. There are additional fees to access both. Please plan accordingly. 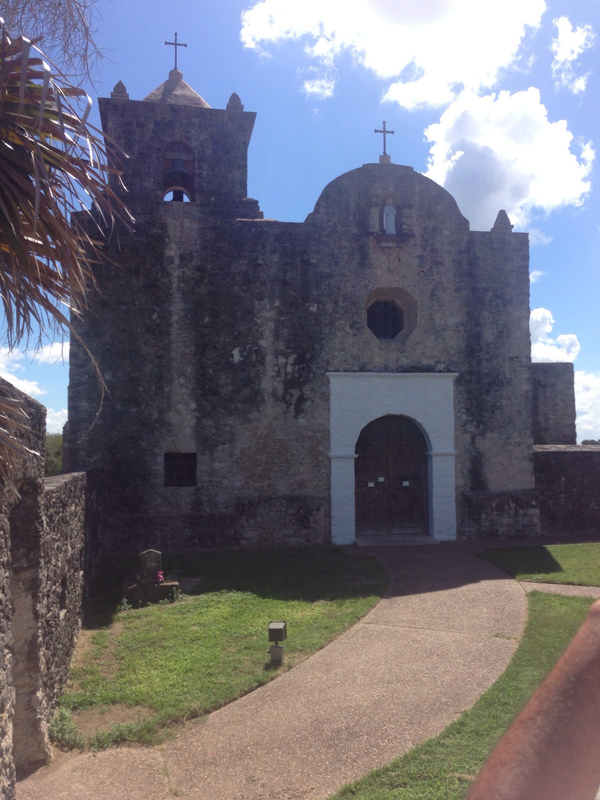 Back in September of 2013 I visited a great Mission in Goliad (and apparently forgot to hit publish on the posting). If you haven’t been to Goliad State Park yet I recommend adding it to your list. This site combined with its neighboring historical sites make for a great day trip for anybody. 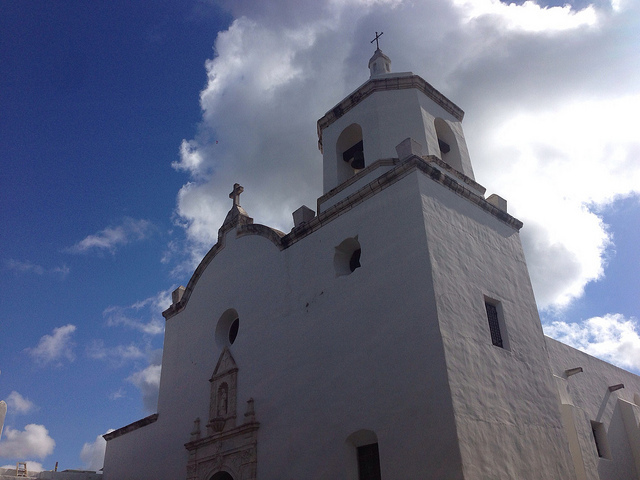 The mission has been beautifully restored to it’s 18th century condition. For reference, here is a picture of the 2004 condition. 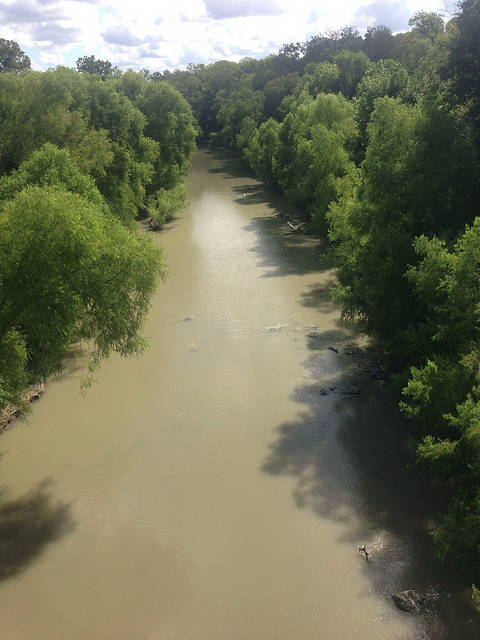 An interpretative guide is provided on the Texas Parks and Wildlife site. Here’s a video to serve as a preview to our trip to Dinosaur Valley State Park on 1/11/14. It was a fun day minus the cedar pollen (more on that later).